Last week I went to Elko, Nevada to the National Cowboy Poetry Gathering, staged by The Western Folklife Center, which "is dedicated to exploring, presenting and preserving the diverse and dynamic cultural heritage of the American West." This was my second time going to the event, and this year's theme was "Expressing the Rural West--Into the Future!" 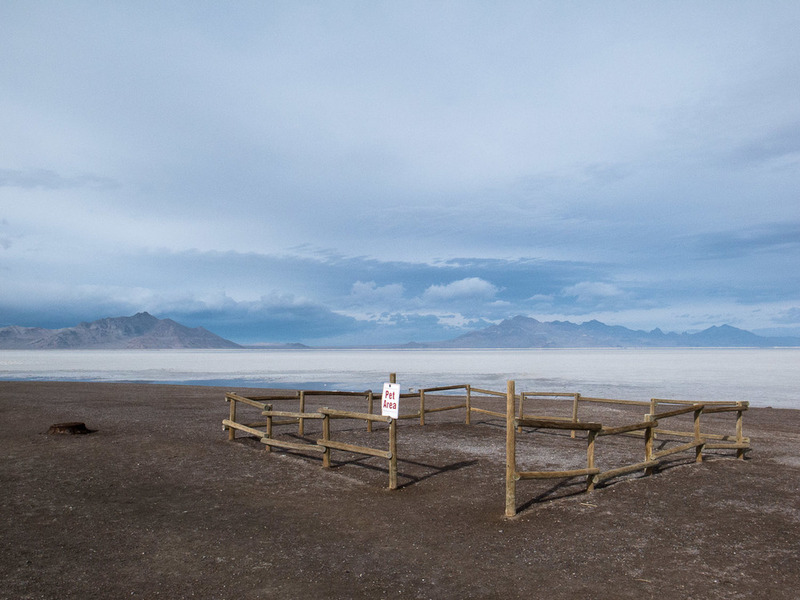 I was particularly interested because Pat, Sharon and Meghan O'Toole from the Ladder Ranch, subjects of my documentary, A Handful of Dust, were speaking in several workshops. This seemed like an opportune time to capture their thoughts on film. Beyond that, there were 50 cowboy poets and musicians performing over the six days, so it was a great opportunity to meet people who might contribute their talents to the documentary. I was gratified that six well known, and very talented artists agreed to help out. To see more about my time there, head over to the blog page at A Handful of Dust. Of course, whenever I travel, I'm always on the lookout for great visuals. Here a two of my favorites from the road. 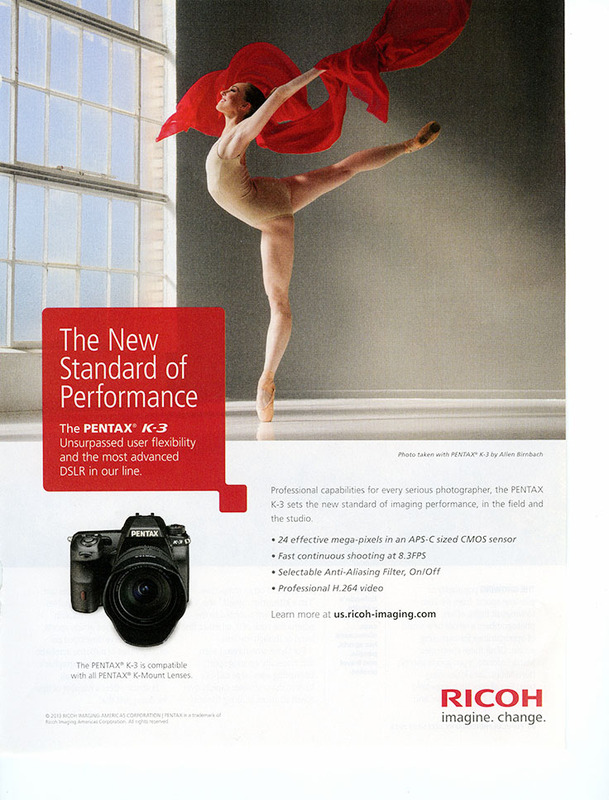 The ad for the Pentax K-3 is running in consumer magazines now. It was so much fun to work on this project, and I'm delighted with the results. After the recent shoot for the launch of the Pentax K-3 I had an opportunity to take the dancer from that project, Dana Benton, and one of the costumes from that project on location. Honestly, I just didn't feel finished with working with that combination of Dana's amazing abilities and the movement the costume would allow. The image was created with the Pentax 645D camera and a Pentax 75mm leaf shutter lens. Lighting was provided by a Chimera OB 30 beauty dish. My thanks to Janelle Hinkley who helped with choreography, and assistant Jon Rose for making this come together. And to Dana, who somehow manage to control her goosebumps as the temperature dropped. I'm delighted to see the latest photograph I did of Cesar Millan on the cover of December issue of Cesar's Way Magazine. I hope I get to work with him again soon. I'm due for my dog fix! Finally! After a wonderful shoot for Pentax to help launch the new K-3 camera back on October 2nd, the video has gone live, and I can talk about the project. The K-3 is the new flagship for Pentax, and is billed as a high performance camera. The marketing team saw a wonderful possibility of using dance as a metaphor for performance, and approached me to shoot a series of images using the camera. 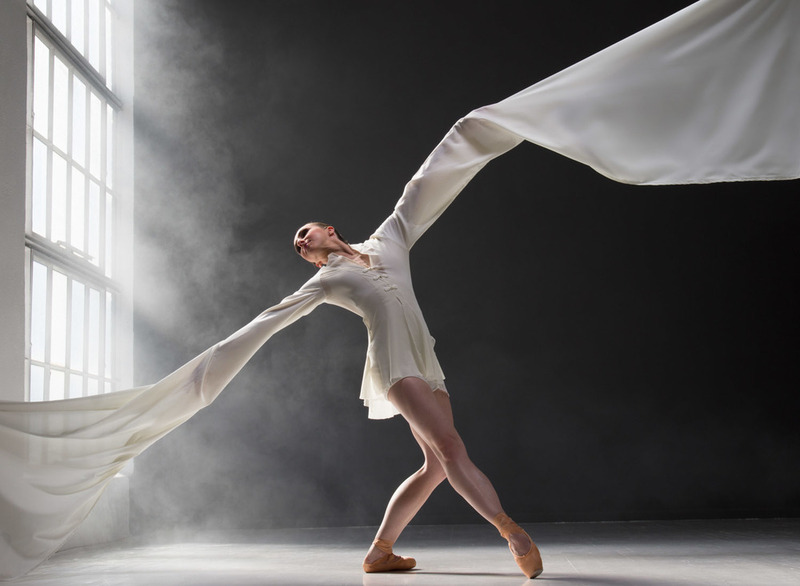 They also wanted to support dance within the Colorado landscape, so I helped create a partnership with Colorado Ballet, a company I have worked with for seven years. Artistic Director Gil Boggs graciously provided one of my favorite dancers for the project, Dana Benton-Robertson, a soloist for the company. Shirin Lankarani, wardrobe mistress, provided costumes. Janelle Hinkey assisted with posing and Kari Kisch did an amazing job of makeup, as always. We worked in a studio that has a bank of south facing windows, perfect for some of the ideas I had for working with natural light. It also has high ceilings, so we could add strobe above the dancer to create more drama. Add a fog generator and fan, and you have the makings of an amazing day. Assistants Scott Reid and Jeremy Leininger made it all flow smoothly, and even made it into the final cut! The video was directed by Jasper Gray and shot by Frank Pickell, both from Futuristic Films. The collaboration was great fun. A few weeks ago I was invited to shoot a series of dance images using the new Pentax K-3 for a promotional video. It was a wonderful opportunity to collaborate with one of my favorite dancers, Dana Benton, a soloist for Colorado Ballet. The shoot took place in a studio that had both wonderful natural light and the opportunity to add flash for some of the other images. At 9:30 MST on October 22nd, the video goes live, and I'll be able to share both it, and the still images we created that day. I'm looking forward to sharing them. 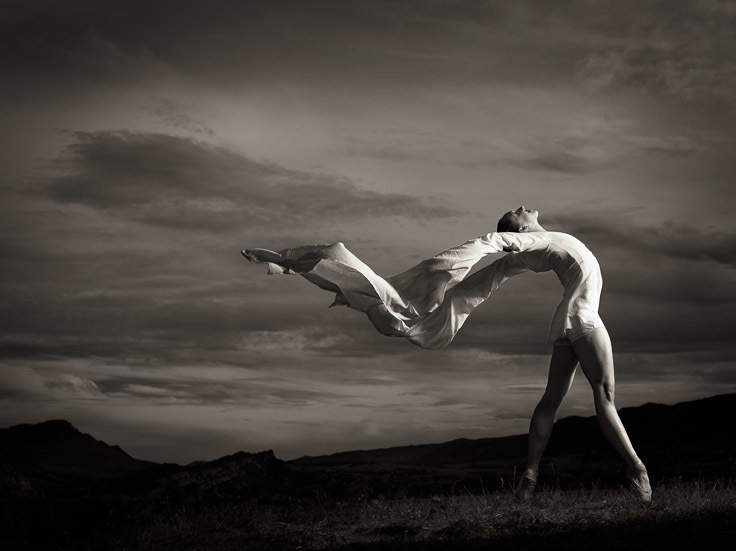 The new ad campaign for the 2013-14 season for Colorado Ballet is rolling out. The first image to appear is for Giselle, which runs October 4th-13th. This image of dancer Maria Mosina was staged in the parking lot at Colorado Ballet on a hot summer afternoon. A tip of the hat to Maria for consistently hitting her mark and keeping her composure as we refined the image. Next time we have to tent the whole area off and air condition the set. 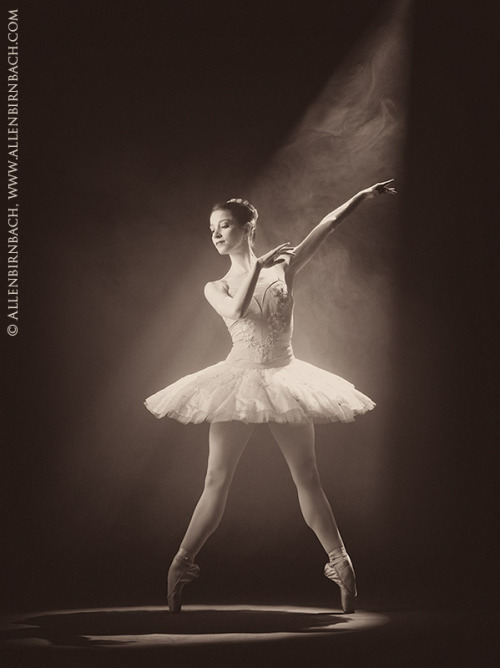 The American Society of Media Photographers has named the "Limelight" series as one of the ASMP Best of 2013. I'm delighted to have my work selected. A tremendous amount of credit goes to the Gil Boggs, Artistic Director and Marie Belew-Wheatley, Executive Director of Colorado Ballet for supporting the project from the beginning. And to the wonderful dancers who took time away from a demanding rehearsal schedule to bring their incredible talent to life in front of the camera, my deepest gratitude. They are Cara Cooper﻿, Casey Dalton﻿, Christopher Ellis, Klara Houdet, Chandra Kuykendall﻿, Adam Still﻿, Caitlin Valentine-Ellis﻿ and Luis Valdes﻿. And to Oleg Dedogryuk who styled several of the photographs. These images are available as limited edition prints, greeting cards and posters. A percentage of sales will be donated to Colorado Ballet. To see the full series, go to the "Limelight" entry here on the blog. I just found out I am one of the 20 finalists for the ASMP Best of 2013. Not sure which images they will choose to show, but this image of Klara Houdet﻿ from Colorado Ballet, from the "
" series is what got me in. Thanks to all the dancers who participated in the series. Luis Valdes﻿, Adam Still﻿, Cara Cooper﻿, Casey Dalton﻿, Chandra Kuykendall﻿, Caitlin Valentine-Ellis﻿, and Christopher Ellis. And to Oleg Dedogryuk who styled this photograph. The last two days I've been shooting a lifestyle campaign for Wyoming Medical Center. It's been a great experience photographing former patients who have a new lease on life based on their treatment at the hospital. Tomorrow we will photograph six key doctors at the facility and then head home. 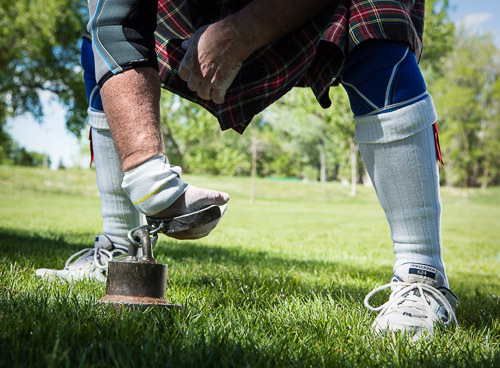 I won't be able to show the images we created until the rollout of the campaign, but this was a fun detail I shot of a patient who now participants in Scottish Highland games. 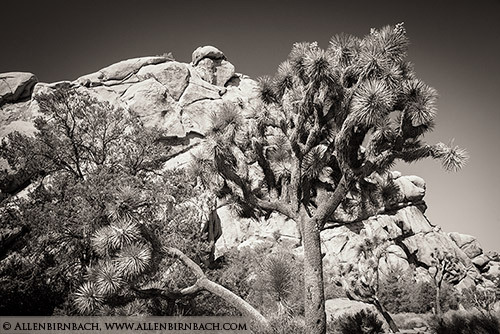 After teaching a workshop in the area, I made a quick visit to Joshua Tree National Park. It's been a number of years since I had been there, but the place still entraces me. I love the muted colors of the desert and the peacefulness of the park. We owe such a debt to Teddy Roosevelt and his vision for preserving natural wonders through the creation of a national park system. This is one of my favorite images, shot with the Canon 5D MkIII. 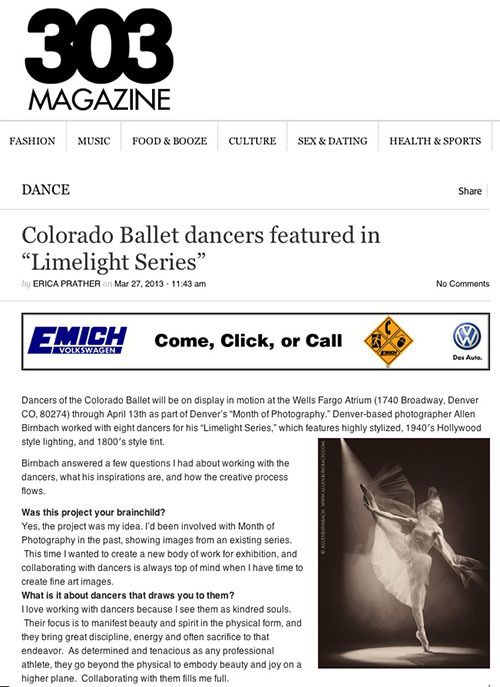 303 Magazine did a story about the "Limelight" series of dance photography I have on exhibit. It includes an interview with me about the project and how I collaborate with dancers. Thanks to writer Erica Prather for such a nice piece. You can see the ful article at 303 Magazine. 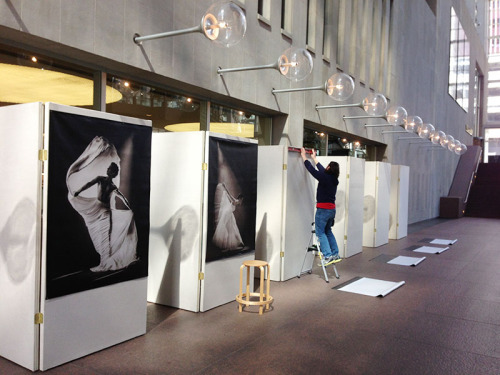 Yesterday, with the help of Jon Rose, I mounted the "Limelight" exhibit at the Wells Fargo Atrium in Denver. The space is wonderful, and the large scale images look great in the environment. Thanks to Pat Cortez and Merlinda Mestas at Wells Fargo, and to Raydean Acevedo, Colorado Ballet Trustee and Lynn Dolven, Development Director at Colorado Ballet for helping make this come together. The exhibit runs through April 13th. Every other year, hundreds of collaborative public events in Denver and the region celebrate fine art photography during The Month of Photography Denver. 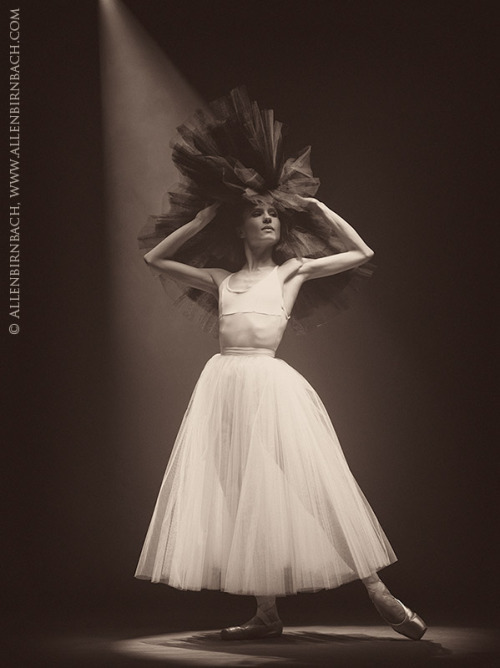 And this year, I decided to create a new series working with dancers, combining 1940’s Hollywood lighting with the feel of the 1830’s calotype process. 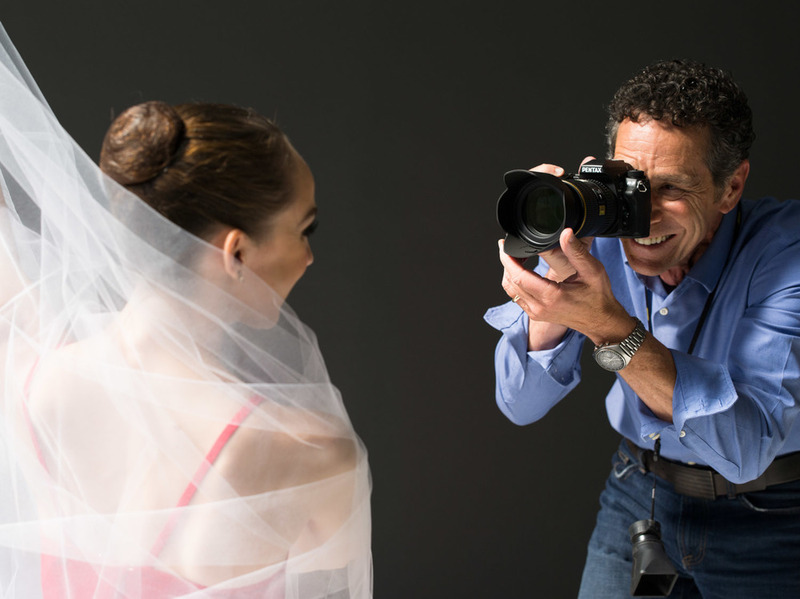 Having created the advertising images for Colorado Ballet for the last seven years my first thought was to enlist the support of their Artistic Director Gil Boggs, Executive Director Marie Belew-Wheatley and Wardrobe Supervisor Shirin Landarani. Their support was enthusiastic, and we were off to the races. 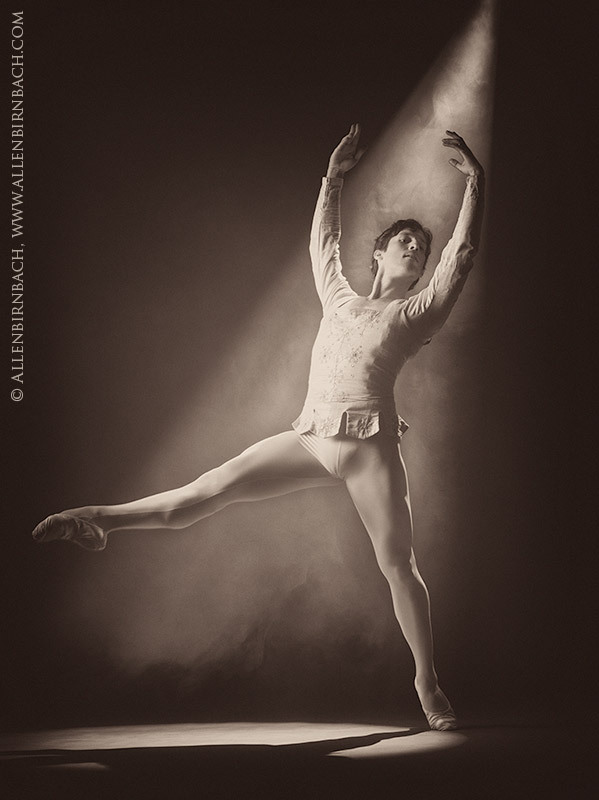 Over three weeks, I photographed eight members of the company in the studio. The process was highly collaborative, as the images were created on the Pentax 645D medium format digital camera and I could share the results of each exposure before the next attempt. After looking at a new photograph on screen, the dancer and I could refine the look and feel of the image until we both were satisfied with the results. Shooting digitally has transformed my relationships with my subjects because they see the work in real time. That builds a sense of trust and partnership that can results in stronger images than was ever possible in the film world. I love it. The series will be exhibited at the Wells Fargo Atrium, 1740 Broadway, Denver CO, 80274, March 18th-April 13th, and the space is wonderful. Because of it's massive size, I decided to make prints on a large scale to match, and each image will be shown at 4 x 5 ft. 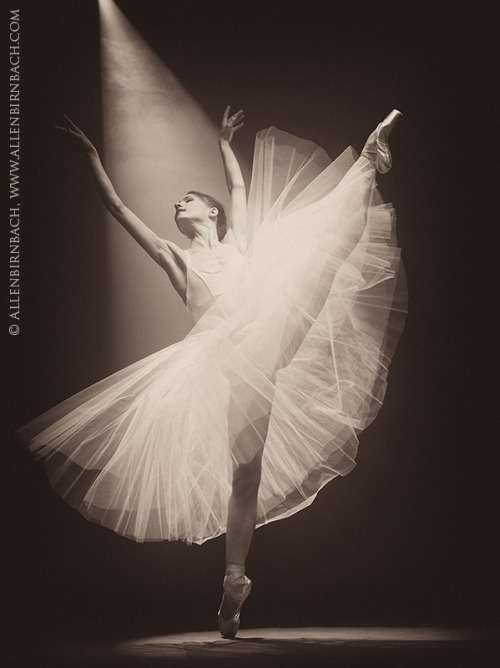 Sales of prints, posters and note cards will benefit Colorado Ballet. All images on this page are available for purchase. Email for information. The Choice Out Loud video is live and can be seen on Vimeo. So now I can finally tell the story about the time lapse project, which was under a non-disclosure agreement until today! Back in December, I was contacted by the creative director at gmmb Advertising in Washington D.C. to participate in a historic project, Choice out Loud. 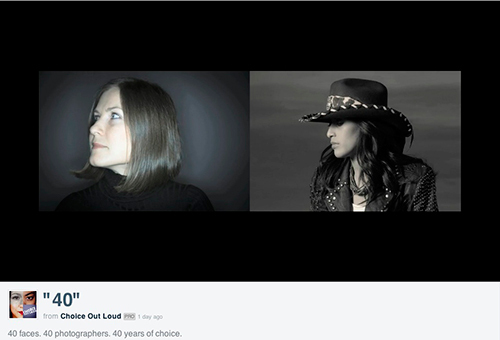 The idea was to celebrate the Roe v Wade's 40th Anniversary, which is February 22, 2013 by having 40 photographers around the country each shoot one woman for a time lapse video. I felt honored to be invited, and was thrilled to be involved. With the insight of my good friend, cinematographer Edward Done, I decided to do a sequence that involved not only time lapse with the model, but time lapse with the background as well. That meant sitting in a field near Denver International Airport for almost 4 hours while I captured enough frames to last 6 seconds in the final sequence. A very zen-like experience listening to the camera click one frame a second for 4 hours. Next we shot the model, Yosselin Marquez from Nxt|Model in cowboy garb generously donated by Cry Baby Ranch in Denver. Ed was there with me in the studio, shooting straight video while I shot on the Canon 5D MkIII so we could get a sense of what the sequence looked like in real time. We probably did 15 takes, all of them fun and unique in their own way. Many thanks to make up stylist Kari Kisch, assistants Caleb Tkach and McCall Burau, and to owner Natalie Fletcher and casting agent Christina Reed at Nxt|Model. Tomorrow, I'll get to see how it all came together! Last week we had a wonderful assignment that involved using time lapse photography in creating a portrait. I started by shooting a sequence of images of clouds out near Denver International Airport, then projected those images in real time while we shot our portrait. Our talent, Yosselin Marquez from Nxt|Model was wonderful to work with, bringing great emotion to over 100 still frames over 6 minutes per sequence. Big thanks to agency owner Natalie Fletcher and casting agent Christine Reed for finding the perfect person for the job. Here is an short example of what we did. Reveal to White time lapse test from Allen Birnbach on Vimeo. 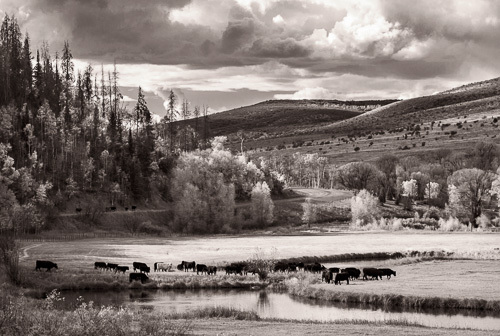 I've been editing photographs from the fall cattle drive at The Ladder Ranch, and these are two of my favorites. They'll be included in the documentary, "A Handful of Dust." Stop by the website for the project and sign up for updates at "A Handful of Dust." My interest in ranching goes back to the late 80's when I began documenting a centennial ranch in south central Colorado. And in 2001, upon the completion of "The Cogan Ranch, Portrait of the Vanishing West," there was a gallery show, TV interviews and publication in several magazines. In the years since then, I've felt like the issues facing ranching in America have only increased in number and intensity. Last year, I decided to begin a new series to speak to this issues with both still and motion pictures. With the generous support of The University of Wyoming College of Business, a business plan was developed and a website and trailer is now online at AHandfulofDust.com. I'm excited about the possibilities for this project, and the wonderful initial support the effort is receiving. For information, go to AHandfulofDust.com. There's an interesting story today at the improvised life blog about brainstorming and creativity with some fun links. One goes to an interview with Tina Fey of SNL and 30 Rock fame, and author of Bossypants. Thought provoking and entertaining. Click here to go to the blog. The image below is just a visual facsimile and the links do not work.